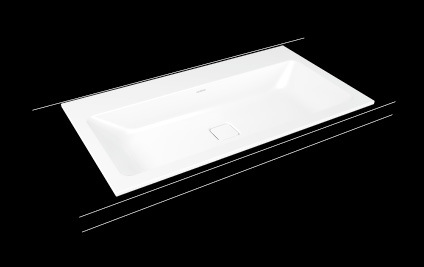 Washbasins by KALDEWEI lend a new quality to your bathroom. Aesthetic shapes of iconic appeal, crafted with the superior qualities of our unique KALDEWEI steel enamel. 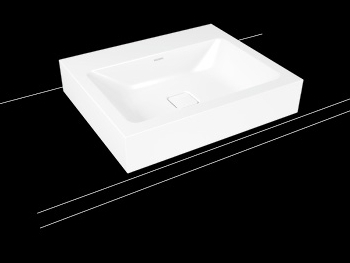 Be it wall-hung, built-in, undercounter or countertop – KALDEWEI offers the right washbasin for any bathroom. 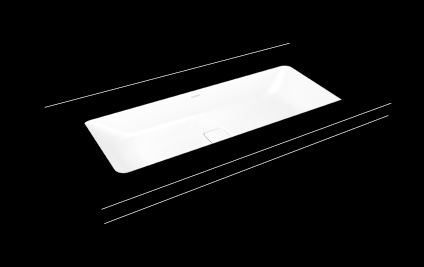 For a coherently harmonious look, all basins can be combined with high-quality fittings from other manufacturers. The KALDEWEI Fittings Style Guide shows you instantly which fittings aesthetically suit your washbasin as the perfect finishing touch. Be it with a high lip or low frame – our countertop washbasins present themselves in minimalist elegance as the perfect centrepiece on your bathroom unit. 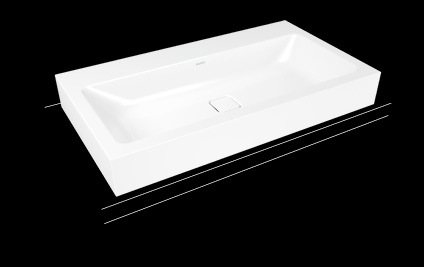 Designed with a low lip for virtually flush mounting, the built-in washbasins fuse with the vanity unit to create a symphony of perfect harmony. Washbasins mounted under a top offer a flush finish solution of timeless elegance that maximises the utility space in a compact bathroom. 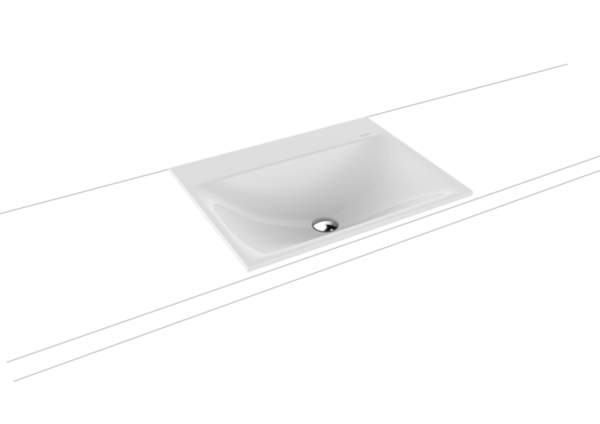 The wall-hung sink mounted only with its back to the wall is a classic type of washbasin that stands out as a feature of complete aesthetic individuality in the bathroom. As perfectly sculpted objects styled in our unique KALDEWEI steel enamel, these freestanding washbasins enhance even the most luxurious bathroom. As firm believers in unpretentious elegance, we understand the fascination of aesthetics in its purest form; surfaces of seamless composition in superior KALDEWEI steel enamel must not be disrupted by the cold steel of a waste outlet. 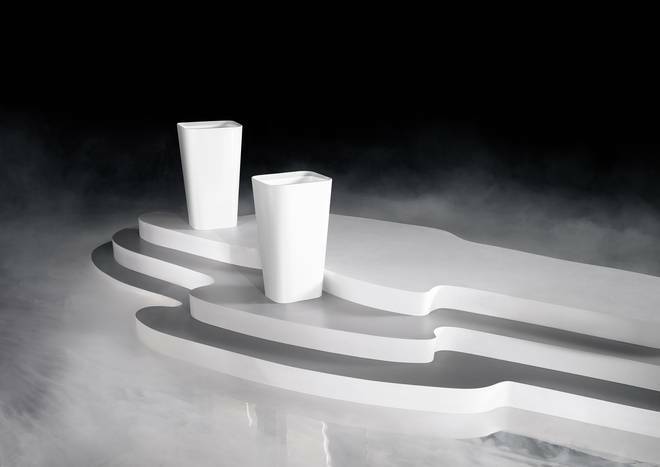 That is why our fully enamelled waste covers are now also available for washbasins, giving you the pleasure of bathroom furniture made completely of one material. 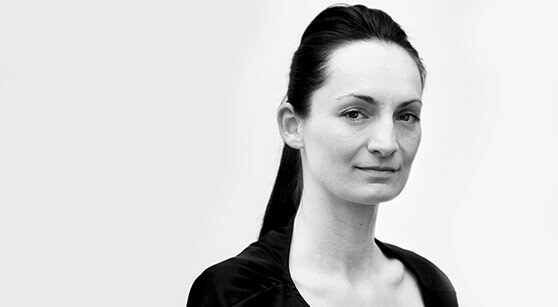 Because aesthetics is a harmonious whole, perfected in every detail. Our designer bottle trap in chrome finish adopts the minimalist style of our washbasin and applies it in a place that most designers would ignore or conceal. Whereas the push-to-open waste for our washbasins is of a simplicity so sublime - a gentle touch to open and close - we can forgive its chrome cover. Especially as it comes without the need for a lever.